Over the last few months I have spent a long time thinking about, and starting to develop, Apps for the iPhone. 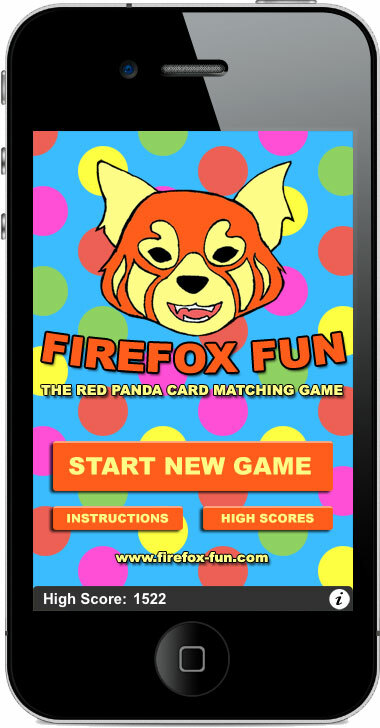 My first finished game, Firefox Fun, is now available in the Apple iTunes App Store. Firefox Fun is a simple picture pairing game, based on the Red Panda, one of my favourite animals. It features 3 levels of difficulty, and an online high score system. Not wanting to invest in a Mac, but still wanting to try iPhone App Development, I have spent a long time researching the various ways that this can be achieved. It didn't take me long to stumble upon DragonFireSDK - primarily a games development kit, but allowing development in C/C++ using Microsoft Visual C++. The SDK is very lightweight at the moment, but many more features are due to be added in the near future, and I hope to be utilising these in my forthcoming apps. I have found working with the system to be very enjoyable, and doing so has also improved my C/C++ skills. The process from concept, to development, to testing, to release, has been a slow one, with lots to learn. Want to try the game or find out more? Please use the links below.